Higher Education Commission (HEC) and Pakistan Bar Council (PBC) signed a memorandum of understanding. In a bulletin, it was said that HEC and Pakistan Bar Council agreed to co-operate with each other for the development of policy guidelines to renovate and intensify the authorization process in Law, which was offered in Pakistan higher education institutes. These programmes are known as PBC. Higher Education Commission and Pakistan Bar council will establish merit for identification of programmes in Law at the undergraduate and postgraduate levels. Both will also collaborate in set up of schedules of programme and criteria for appointing the faculty. For the interpretation of programmes, a seven member committee will be formed by PBC, named as Legal Education Accreditation Committee LEAC. Executive Director of Higher Education Commission, Dr Mukhtar Ahmad and Nazir Hussain Tarrar signed memorandum of understanding as the representatives of HEC and Pakistan Bar Council. It is the responsibility of the agency formed by HEC, the Quality Assurance Agency (QAA) to check out the external and internal quality assurance of the institutes, it also supervise the programmes as well. Higher Education Commission will grant the rank of LEAC as the accreditation figure for the programmes for undergraduate and postgraduate in Law regulation in Pakistan. 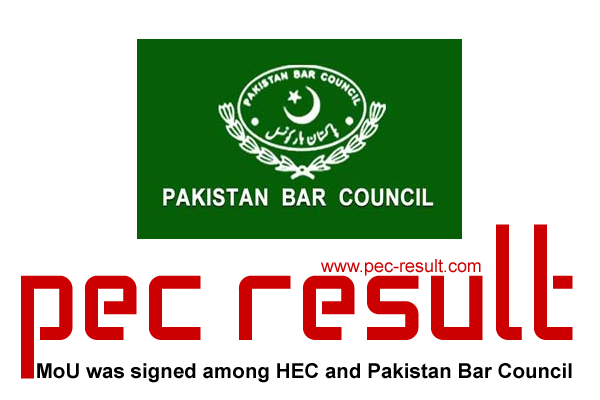 It is the duty of LEAC to carry out the polities and measures evolved by HEC and Pakistan Bar Council. According to the memorandum of understanding, HEC is bound to perceive only those programmes which LEAC permit it and HEC will not notice any programme that is not accredited by LEAC. While LEAC will be constrained to follow “Good Practices for Quality Assurance of Accreditation Councils in Pakistan” acclaimed by HEC and it will also follow the rules built by Pakistan Bar Council. HEC already signed MoUs with Pakistan Veterinary Medical Council and Pakistan Council for Architects and Town Planners. The board has commended the HEC and Pharmacy Council and Nursing Council to sign MoUs.